Testimonials & Reviews - Culver City, CA: Norma C. Salceda, MD, F.A.C.O.G. 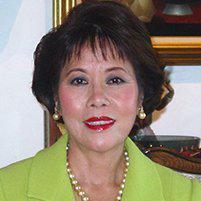 Norma C. Salceda, MD, F.A.C.O.G. Dr. Norma C. Salceda always appreciates feedback from her valued patients. To date, we’re thrilled to have collected 11 reviews with an average rating of 4.64 out of 5 stars. Please read what others are saying about Dr. Norma Salceda below, and as always, we would love to collect your feedback. I met with Sheila for my routine check-up and it was a wonderful experience! She was very friendly, informative, makes sure you are comfortable, and just an all around pleasure to have as a doctor! The office was great - very efficient, I didn't have to wait long for my appointment, scheduling a follow-up was very easy. Overall, great experience! Lots of handwritten paperwork, but other than that excellent/friendly staff. Pleasant experience. I really appreciate. The people's in the office are very nice and friendly. Dr.Salceda delivered my older sister almost 25 years ago!My mom and i love her!Her bedside manner is great! Thank you, the experience was valuable. Overall, a good experience. I wish the television in the waiting room was not tuned to daytime Jerry Springer-type of talk shows, especially when so many families seem to bring their children. I'd also like to eventually meet the MD who is going to deliver my baby. I have visited the Western/Venice and Pacoima locations a total of 5 times, I believe, and I have yet to meet the MD. The NPs and PAs are very nice, but I'd appreciate some interaction with the MD. Otherwise, a good experience each time. I love Dr. Salceda and her staff. I always feel comfortable here and I always come back when necessary. NP, Leticia Hopley also such a wonderful person . The staff really tries to make you feel comfortable. They were also very informative. Dr. Salceda accepts medical, family pact, contracted with a lot of PPO and HMO. The office will be happy to bill your insurance company directly to maximize your benefits and minimize out of pocket expense. Please feel free to contact any of the 3 locations if you have any questions regarding insurance.